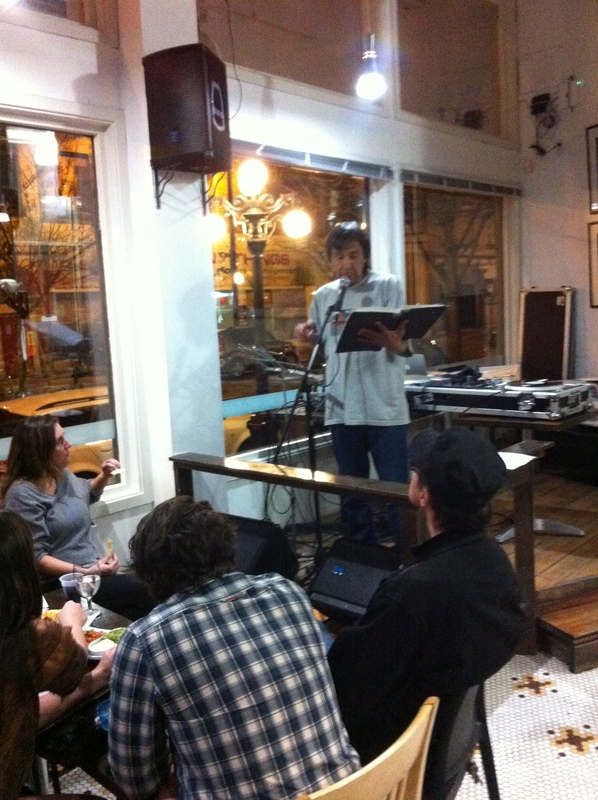 Neil Benson reading at ROCK THE BLOCK (March 28th, 2013). Well done Neil – a great reading. 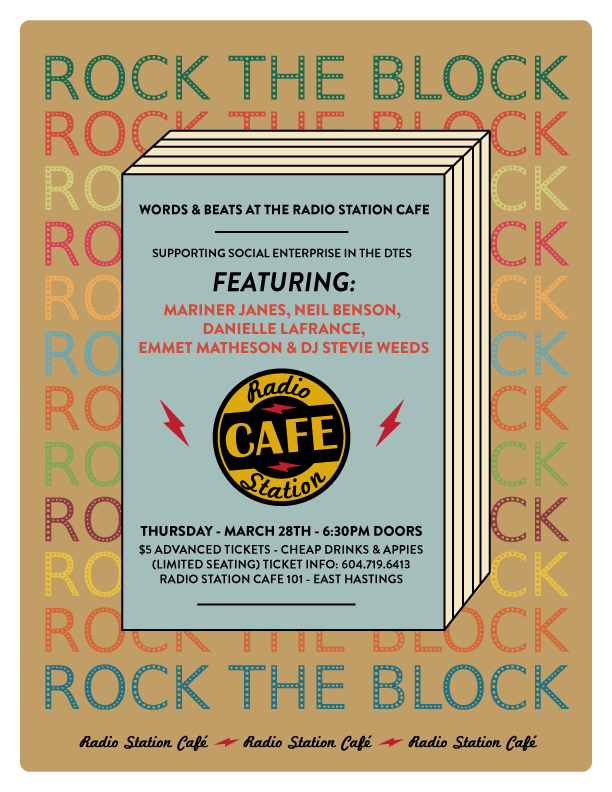 I’m doing a reading next thursday, March 28th at Radio Station Cafe (101 East Hastings). This will be alongside the talented Danille LaFrance, Emmet Matheson, and Neil Benson. DJ Stevie Weeds will be spinnin tunes too, so come on down for a great event to benefit social enterprise on the downtown Eastside! Advance tickets only (5$) – drop me a line if you’re interested. Thanks for the great poster for the event by the fabulous Colin Askey. Final proofs are done! Book hits the press early next week. Actually holding breath. Check on me in a bit, please. 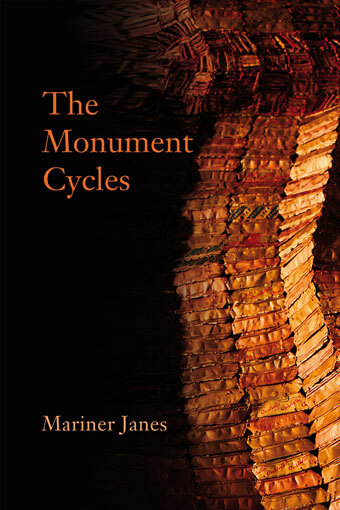 Looking forward to reading from my first book at Talonbooks launch, Wednesday April 10 at the Anza Club. Rather giddy to be reading alongside Daphne Marlatt, Stephen Collis, Dina Del Bucchia, and Wanda John-Kehewin. Here’s looking forward to a great year. Facebook event details here. Can’t hardly wait to see you all.